This entry was posted in News & Views, Quotes and tagged gun control, Immigration, political cartoon, prayers, protection border wall, schools, shooters, Stahler, thoughts on February 1, 2019 by Ray Buchanan. I fought to protect the right of my fellow citizens to have the freedom to demonstrate their beliefs. 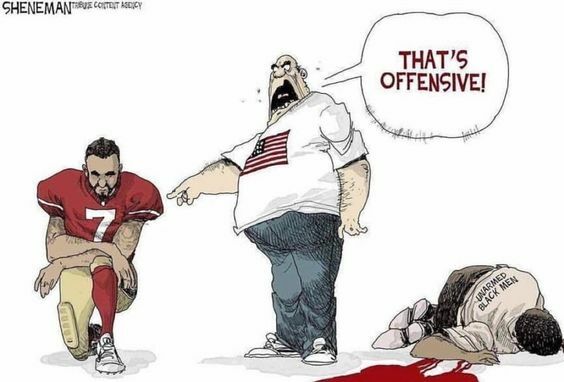 What might be disrespectful or offensive to me might be a deeply held belief for someone else. We have become far too sensitive to “slightly offensive behavior,” while totally ignoring and turning a blind eye to truly offensive actions that we need to speak out against. This entry was posted in News & Views, Quotes and tagged belief, flag, free speech, freedom, gun control, morally repugnant, national anthem, offense, patriotism, phoney concern, protest, racial discrimination, Sheneman, solidarity, speak out, unacceptable behavior on October 9, 2017 by Ray Buchanan. All our guns are not making us safer. I know numbers can lie, but this looks fairly clear to me. We lead the developed world in gun murders. Isn’t it time we forced our elected politicians to actual do something about gun control? This entry was posted in Facts & Statistics, News & Views and tagged Congress, contest, developed world, gun control, murder, politicians, residents, safety, taking action, violence, violent death rates on October 4, 2017 by Ray Buchanan. While the White House waffles and delays any significant response to the deadliest mass shooting in US history, at least one member of Congress tell it like it is. #BLOTUS and his cronies are not about to antagonize their base by taking action. Where does it stop? 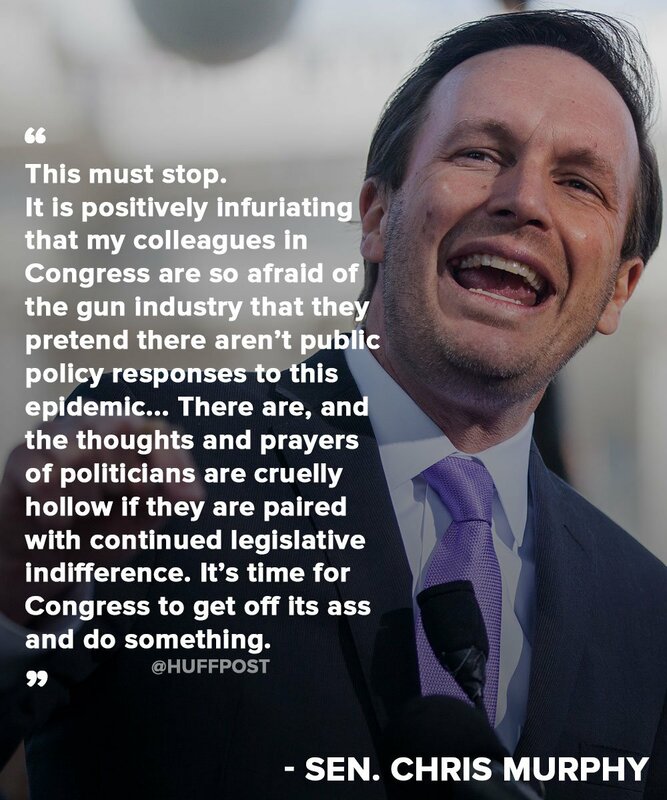 This entry was posted in News & Views, Quotes and tagged #Huffpost, action, BLOTUS, Chris Murphy, Congress, cronies, epidemic, gun control, gun industry, hollow prayers, indifference, politicians, public policy, response, senator, White House on October 3, 2017 by Ray Buchanan. Success, at least to me, is like gun control. Success simply means you hit your target. You accomplish what you’re aiming to do. 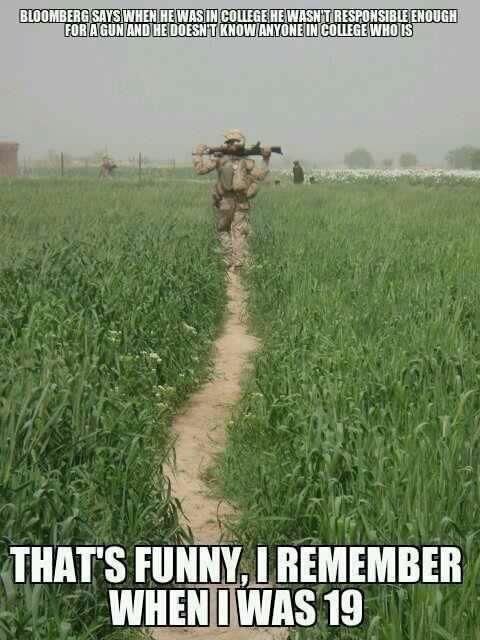 And like gun control, success says nothing about aiming at the correct target. What is needed, desperately needed, according to the Dalai Lama, is better target acquisition. The world needs folks who want to have lives of true significance. That means people who choose to aim at the right target. The Dali Lama’s list is a damned good place to start. 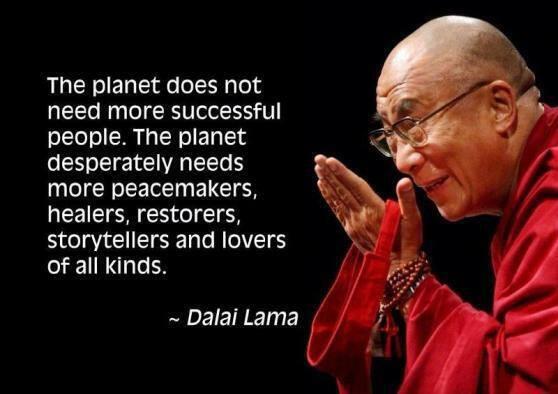 This entry was posted in Hunger & Poverty, News & Views, Quotes, Spirituality & Religious Writings and tagged aim, Dalai Lama, gun control, healers, lovers, need, peacemakers, planet, significance, storytellers, successful people, target, target acquisition, world on November 5, 2015 by Ray Buchanan.